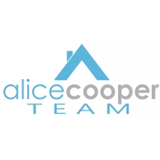 Alice Cooper is a residential real estate specialist who couples her in-depth knowledge of Volusia County with exemplary customer service to deliver a unique hands-on approach to the buying and selling process. With nearly a decade of experience in a multi-million dollar producing team, Alice has superior industry knowledge to facilitate a positive real estate transaction. She is a local business owner/partner and remains involved in these companies which include Art Direct, Inc., a retail art and framing company and Art Outlet International, Inc., an importer/wholesaler specializing in original artwork. 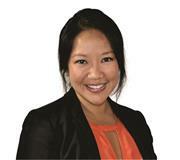 Her extensive experience in first person sales and inner office managing has built her solid reputation for exceptional customer service and commitment to her clients. Whether you are buying or selling, Alice has the extensive experience and professionalism that will exceed her clients' expectations. Please contact Alice at alicecooper@adamscameron.com.